Today we are going to take a slight departure from our normal Wednesdays and I’m going to tell you about all the things I love. I like the sound of it. I like the way the air smells after it. I particularly like it when I am not wearing shoes. I don’t necessarily love the rain – achem – when it comes in April. April is supposed to be about flowers, spring cleaning, and candy. Which I love to eat after dinner and for breakfast. 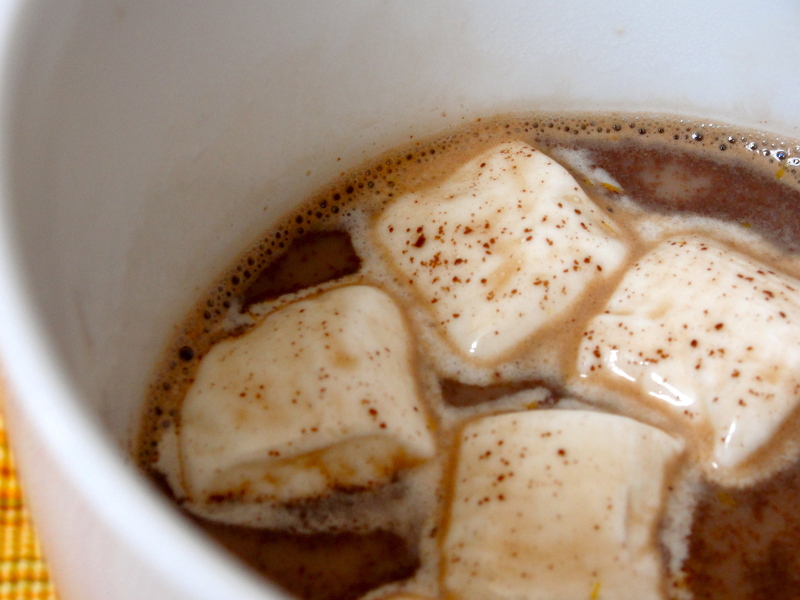 But I like the rain – ok, I’ll say I love it – even during the spring because it gives me an excuse to make hot cocoa. 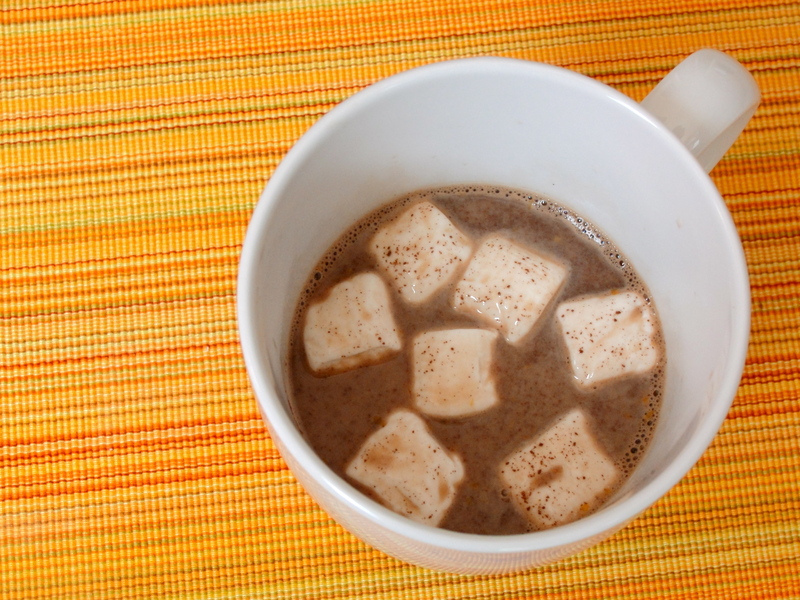 Which I love and haven’t been able to drink due to the high sodium content of milk and hot chocolate mixes. I am loving me some orange, coconut hot chocolate right now. In April. 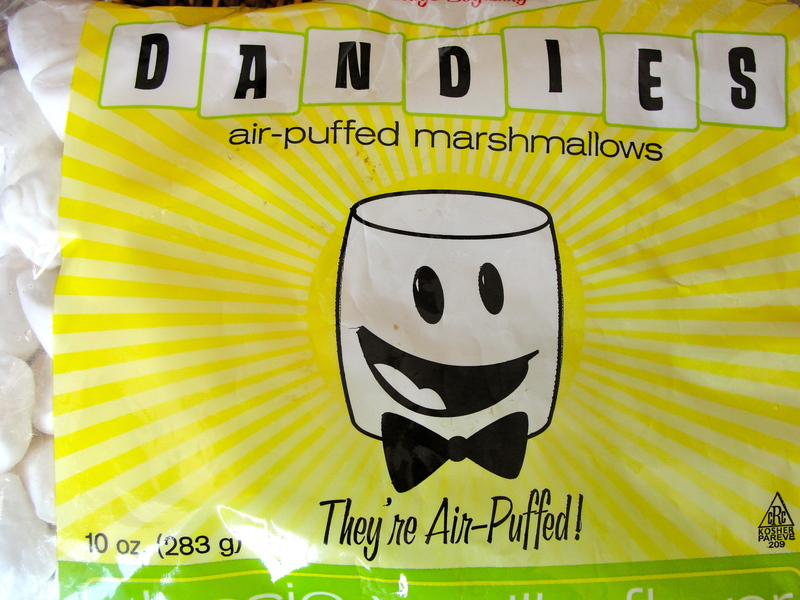 With marshmallows floating on top. As a snack. I also love to write and eat and write about eating. Especially on this blog. And I really love it when I hear from you. So I wanted to dedicate this Wednesday’s post to some of your most recent questions. And hopefully you love the idea as much as I do. Q: How did you define your sodium boundaries? A: First and most importantly, remember that everybody and every body is different. For me, I found that by limiting my sodium intake to 500-1000 mg per day, I was able to go off of dialysis, avoid a kidney transplant, and maintain my health with diet and daily medications. I don’t eat any food that has naturally more than 100mg of sodium per serving. This means avoiding most shellfish, but surprisingly not clams. And I can safely enjoy the majority of beef, poultry, fish, vegetables, and fruit. Just be aware of your portion sizes and how it affects the sodium levels of the food you are consuming. Three ounces of steak may only be 90 mg of sodium, but once you start eating a twelve ouncer, well you’re talking about a whole new ball game. As for packaged goods, I try to avoid them. Over 70% of America’s sodium intake comes from processed food. But like any human being, if I need a shortcut or an ingredient that is hard to find fresh, I only use canned products that have 40 mg of sodium per serving or less. And remember what I said about serving sizes. If I am using tomato paste, which runs around 30 mg per 2 tablespoons for one particular brand, I would use it if I only needed 2 tablespoons. But I would pass if I needed a cup. And ultimately, you have to educate yourself and define your own parameters. 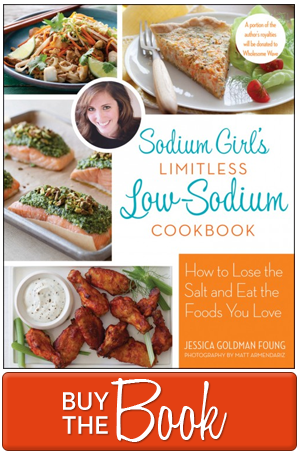 Grab the Pocket Guide to Low Sodium Foods or check out the USDA National Nutrient Database. And read up. Once you can easily identify the sodium levels in foods, you can make choices quickly and hassle free. Q: You mentioned that you have a card you bring with you to restaurants that lists your dietary needs. Is it on your site somewhere? Q: On Wednesdays, I can never find the recipe that coordinates to the beautiful picture you posted. What’s going on here? A: Right now, as I plow through the initial manuscript of my cookbook, hump days are pure teasers. In “Look What I Made Wednesdays,” I’m just showing one of the latest concoctions for my upcoming tome (okay,100 recipes) of low sodium treats. So savor with your eyes…for now. Q: Okay, will do. But in the meantime, do you have other recipes I can print out and is there a search button? A: Yes, there are recipes. Yes, there is a search button (it should be to the right side below “Archives”). 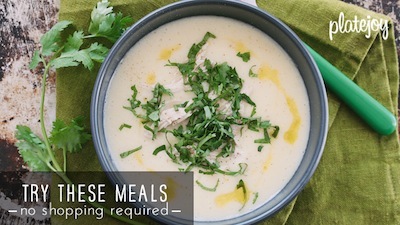 And yes, I’m working on a better recipe system for the site. Actually, I am working on a better site! As of next week, I am giving Sodium Girl and 21st century makeover and there will be all sorts of cool new gadgets, widgets, and recipe indexes that will make low sodium cooking even cooler than before. So thanks for hanging in there with me as we turn this duck into a low sodium swan. Or something like that. And in the meantime, if you can’t find a recipe for something, shoot me an email or post a comment below. Reading your post is such a pep talk for me – thanks, I needed that today. Your post is so timely. I was just told to watch my sodium and have been a bit overwhelmed at the prospect of dining out. Thank you for the blog. My brother (who has always been the snarky type) is a sues chef at a high end restaurant and I asked him if it angers him when people make request for foods. He says the only exception is people with genuine gluten restrictions, but everything else irritates him. I’m genuinely curious at the reaction you get at restaurants when you give them this card. I’m having some kidney stone problems at a young age (19) and would love to give this card to waiters and still expect a delicious meal, but I feel that I would have a tugging at my brain that my food might be spit in for me being difficult. I guess what I’m trying to say is: Is this allowed? I’d love to know you experiences! Emily…it’s TOTALLY allowed. Just remember, you aren’t being picky, you are taking care of your health! And there are PLENTY of people who do not mind asking for many changes and request that do so (without shame) just because they don’t like tomatoes or onions or whatever. So remember this: if you can call ahead to a restaurant to let them know you are coming and all about your needs; if you communicate clearly with the staff and kitchen about what you CAN and CANNOT eat (by using a card like this: http://www.sodiumgirl.com/low-sodium-dining-card/); if you do your homework so you know how foods are prepared, what to avoid, and what is good for low-sodium eaters; if you always say thank you and even write a note…then you deserve and will have a delicious low-sodium meal! hi jessica! my name is marilyn!